Are you in need of car paint repair in Largo? Accidents occur in Pinellas County every day. You might be driving to work on Ulmerton Road and end up with a fender bender at the Starkey intersection. You could be swiped down the side on I-275 because another driver did not see you when they merged into your lane. Or perhaps, someone parked too close to your Toyota Prius in the Publix parking lot, and they seem to have opened their door with gusto leaving a shiny slash on the side of your SUV. However big or small these scuffs, you should not ignore them. No matter how carefully you drive your vehicle in Largo, there is no way to control what happens to it. You may store it beneath a dust cover when it is not on the road, and you might take the long way home to avoid heavy traffic. However, even your greatest efforts cannot keep unwanted snafus from occurring. A speeding motorcyclist might kick up a rock, or your toddler may try to draw on the side of your Ford Fusion with a Phillip’s screwdriver. 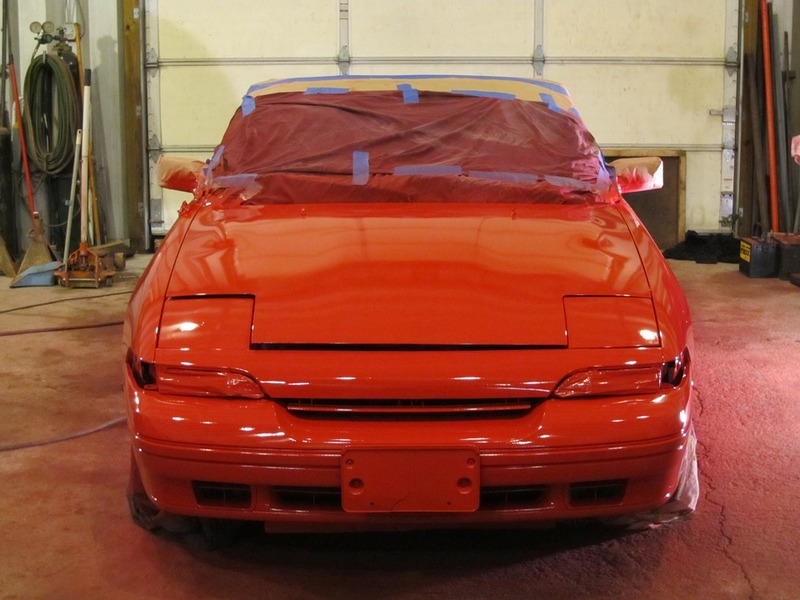 Whatever the case, you will need car paint repair for your automobile’s protection and appearance. While a surface chip will not interfere with your Subaru Outback’s function, it can compromise its quality over time. Few owners understand that there are three layers between them and the steel body of their truck. The exterior is coated with a clear protectant. Beneath this is both color and primer. If a scratch penetrates the initial layers, the steel material becomes exposed. In a rainy, humid climate, like Largo, moisture is prevalent. As liquid seeps into deep abrasions and dents, it can pool and eat away at the body of the automobile. Before long, rust appears, and that is damage that cannot be undone without car paint repair. Not only is rust an enemy to your automobile, but the marks it makes are also unattractive. While you may place functionality over style for your transportation in Largo, you should not ignore dings and dents on the surface of your SUV. It may not bother you now, but these unsightly spots are sure to turn off potential buyers years down the road. Ignoring rust will only communicate that you did not take care of the motor vehicle. To promote the structural integrity of your Mitsubishi Outlander Sport and keep it looking like new, consult assistance from an auto body shop in Pinellas County that offers car paint repair. Car Paint Repair: DIY or Professional? After a collision on Seminole Boulevard, you might be left with a van that does not look much like the one you left the house with. Sometimes, the exterior takes the bulk of the damage. Instead of driving a scuffed up Mazda 3, consider the benefits of car paint repair. Some residents in Largo may be wondering if this is a task they can tackle themselves. Our team of automotive professionals says that you can try, but you might be deeply disappointed with the results. The surface demands a perfect application and your attempts to sand down any scrapes may lead to accidentally damaging the surrounding areas. Beyond application, what happens if you cannot find an exact color match? If you have ever held up a paper swatch next to a freshly colored wall, it is unlikely that they are identical. Just because you were handy with a roller in the guest room earlier this year does not mean you have the skill it takes to mend a scratched automobile. Do not chance any messes or mismatches; as an alternative, turn to our team of car paint repair experts located in Largo! It can be embarrassing to drive throughout Largo with a crunched up passenger door, and failing to fix it can compromise the safety of your automobile. Maximize your vehicle’s security and cover up any scrapes with car paint repair!